Dharma – Dream Big, Fly High! 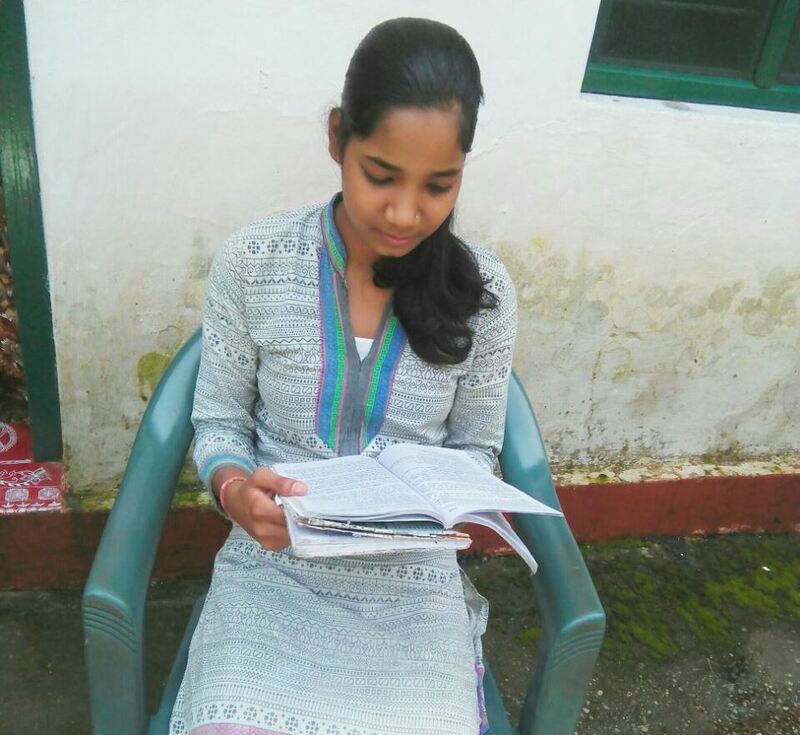 This is a story of Dharma, a young woman from Jeolikote, India who has benefited from our child sponsorship programme and is now firmly on course to reach her life goals. Dharma became a sponsored child in 2003 and was supported up until she graduated school. Sponsorship can provide vulnerable children like Dharma from impoverished backgrounds with the support they need to help stabilise family life and focus on important things, like attending school regularly. In the area of India where Dharma lives the standard of education and available services is poor but Dharma’s parents wanted their bright and determined daughter to have the best possible opportunity to succeeded in life and to achieve her dream of becoming a professional teacher. Thanks to the support offered by ChildFund sponsors in their community, her parents were able to avail of remedial classes for Dharma, to supplement her education. In her years as a sponsored child, throughout secondary level schooling, Dharma has been able to attend and avail of numerous ChildFund supported programmes, including Personality Development and Adolescent Reproductive Sexual Health. Each programme is centred towards holistic development, enhancing self-confidence, and enlightenment about physical and psychological changes in different stages of human life. Dharma also took a proactive part in the Animal Husbandry training which laid emphasis on safeguarding animal health, animal breeding season, animal nutrition, milk production and vaccination. She was able to use this knowledge to help her mother in feeding the cattle in a correct manner without compromising the quality and quantity of fodder. With family life stable and supportive, Dharma has navigated her way successfully through second level studies into third level education. As she approached the end of secondary school and looked t the future, ChildFund’s partner organisation helped Dharma by providing her with career counselling sessions and guidance about her third level options and future career opportunities. Recently, she completed a higher education in Humanities and has since decided to take up M.A. (Master’s in Arts). This young woman is focused! Her dream is to become a teacher and we are delighted that, thanks to the platform and the stability provided by our generous child sponsors in Ireland, and plenty of dedication, drive and hard work, Dharma is now well on course to achieve her goal. Dharma feels that being in the sponsorship programme has made a lot of difference to her life as she had opportunity to participate in different programme interventions, learnt to effectively communicate through writing letters to the sponsor, representing the partner in sessions through taking a proactive part in debates and discussions. The sponsorship programme doesn’t just help children like Dharma, it helps their families too. Dharma’s mother became a member of a ChildFund supported savings and loans group through which she learnt about income generation methods, and passed on this knowledge to her daughter. Dharma was so moved and inspired by what she saw her mother do that she started saving every penny which could be a financial support at the time of crisis. She developed an interest in acting through participating in the role-plays bring organised by our local partner. Dharma is extremely grateful to her Irish sponsor for showing such generosity and kindness, and helping to support her so that she can enjoy the opportunities she has now. She represents the manifestation of all this good will – a happy, independent and intelligent young woman ready to make her mark on the world and to help others through teaching. We wanted to share Dharma’s story with you to show you the enormous difference sponsorship can make to the life of a child. All any child asks for is to be able to grow up in a safe, healthy and nurturing environment, to be able to enjoy their childhood and to have opportunities as they enter into adulthood. Your support can help give a new child this future. Please find out more about this unique and life affirming opportunity to be the difference for a child in need. You Are Here: ChildFund Ireland > Blogtitle_li=newsfeed3 > Dharma – Dream Big, Fly High!